Black youth in Brazil are 2.7 times more likely to be victims of homicide than white youth, a report shows. The Youth Vulnerability to Violence index exposes the demographic profile and the huge racial inequality in the country in terms of lethal violence and public security policies. In Rio de Janeiro, the Atlas of Violence released this year demonstrates that 2016 marked the end of a stable period, followed by a significant rise in violent death rates. The survey was conducted by the Institute for Applied Economic Research (IPEA) and the Brazilian Forum on Public Security (FBSP). In the decade between 2006 and 2016, the mortality rate for Brazil’s black people increased by 23.1 percent, while the rate for nonblack individuals fell by 6.8 percent in the country. The report also shows the homicide rate of black women is 71 percent higher than nonblack women. 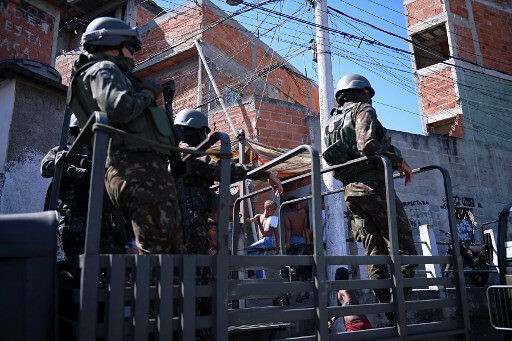 Nalayne Mendonça Pinto, a professor at the Federal Rural University of Rio de Janeiro (UFRRJ), says the social intervention project conducted by the so-called pacifying police has never really existed. What happened, the scholar says, was a greater focus on security issues when the city hosted big events such as the Olympic Games in 2016, but the country’s negative political and economic scenario only made the situation worse. “Without combined actions in different areas to care for and protect this youth, our [violence death] rates will remain high,” Pinto says. This shows that we have a decade of ‘lost youth,’ a genocide of youth. We need a welfare State that puts people’s quality of life first and acknowledges a social problem that is actually a genocide, which has to be tackled in all areas,” she argues. The 2018 Atlas of Violence also shows deaths due to lethal force by law enforcement are underreported for lack of police investigations. Youth were victims of 87.7 homicides per 100,000 inhabitants in Rio in 2016. Pinto, a researcher in public security and criminal sociology, believes the way the police target black youths shows selective, institutional racism.